On February 7, 1976 the Villanova DMR team of Mark Belger, Glenn Bogue, Phil "Tiny" Kane, and Eamonn Coghlan set a world record in the distance medley relay, running 9:38.4 at the Mason-Dixon Games in Louisville, Kentucky. 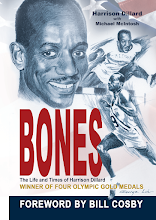 The main competition in the race came from the Florida Track Club quartet of Steve Foster, Reggie Clark, Jim Redd, and Byron Dyce. 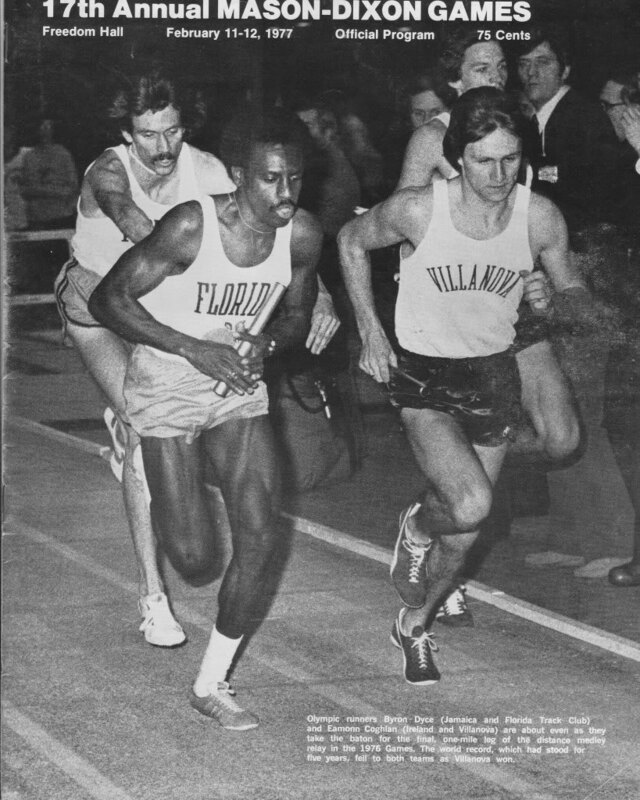 The photo above is from the 1977 Mason-Dixon Games program and shows Dyce and Coghlan starting their mile leg (the race was competed in yards, not meters) in a virtual tie. Despite getting beaten by the Villanova squad, the FTC team also dipped under the existing world record. At the NCAA indoor meet that year, Coghlan would win his second national indoor title in the mile and Mark Belger would win over 1000 yards. Belger would take the 880 yards titles in both 1977 and 1978.